What will be the next Civilization VI DLC? The game has been out over a year now, and post-launch content has been steadily rolling out of Firaxis. The first expansion, Rise and Fall, added plenty to our beloved strategy giant, and we don’t expect it to be the final one. Historically, Civ DLC has been crucial to unleashing each game’s potential, as the devs chuck in new content to fill out the faction roster, or to plug the pacing or mechanical gaps that inevitably arise in a game attempting to chart pretty much everything that’s ever happened. 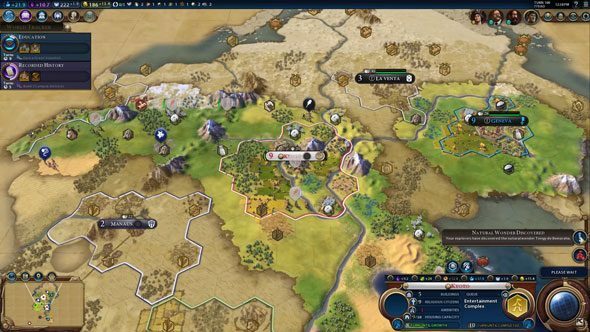 With some new civs having already been added, and Rise and Fall having introduced a solid variety of exciting new mechanics, we wondered what other great cultures from history are missing, and what larger gameplay features we’d like to see when Civ VI gets its next major expansion. This is our lengthy wish list for new Civ 6 DLC. Need even more tactical joy? Try out one of the best strategy games on PC. Civ VI’s post-launch DLC has so far added only civs. John Curtin’s Australia are debuting for the first time, while Persia and Poland are old favourites with a new spin, as Civ V’s leaders Darius and Casimir III are replaced by Cyrus the Great and Jadwiga. Rise and Fall further adds Korea, The Netherlands, Mongolia, and The Cree. We’re really liking this mix of the old and new, so we present a few of our own suggestions that have either been under-represented in the series, or could really benefit from a fresh take. 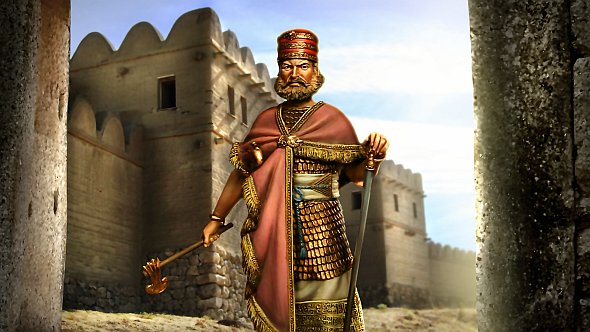 Last seen in Civ III’s Conquests expansion, the Hittites were a major military power of ancient Mesopotamia. They were suspected by archaeologists to be the first people to smelt iron, staking a major claim in history that could be reflected in a unique ability (double copies of iron resources? Bonus combat strength for all units that use iron? I’m just spitballing.) They caused the Egyptians and Babylonians no end of headaches, winning several major victories thanks to their heavier model of chariot – a clear choice for the unique unit. In the meantime, Civ V players can check out Tomatekh and Janboruta’s Hittite mod for that game. The Apache have yet to appear in a mainline Civilization game. They were present in Sid Meier’s Colonization, a 1994 offshoot of the series, and thus were also present in the Colonization remake that was made in the Civ IV engine, but come on, that hardly counts. Some Civ VI DLC would be a great way to debut this famous native American tribe, which were one of the most fiercely resistant to American expansion. An Apache Warrior is the obvious unique unit, and could be designed to synergise with a faction unique ability that reflected the Apaches’ fierceness and their ambush-based, agile fighting style. England have been in every Civ game. They generally have bonuses focusing on their maritime or industrial history, and are led by the monarchs most associated with those periods – Elizabeth I and Victoria. But how’s this for a fresh take: Alfred, unifier of England and one of only two English monarchs to be styled ‘the Great’. You could have him either as a new leader for the English or as leader of his own kingdom: Wessex. The bundled scenario where you unify the crown and repel the invading Vikings is the icing on the cake. A polymath who improved his people’s quality of life in many areas, Alfred’s bonuses could focus on his reorganisation of England’s dark age armies, his diplomatic shrewdness, or his concern for the country’s legal and educational systems (such as they were). Proving that no matter how inventive we think we are, a modder has got there first, here’s JFD, Janboruta and Viregel’s Anglo-Saxon civ for Civ V, led by Alfred. 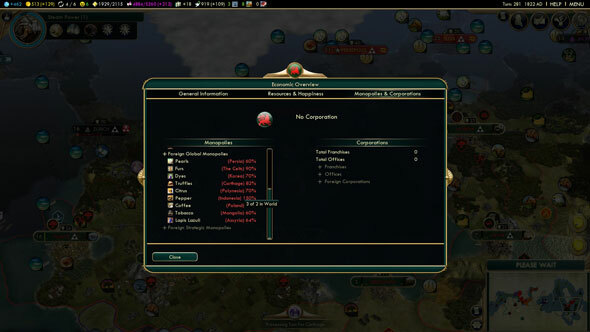 Babylon was periodically the world’s largest city, home of famous architecture, and one of the ancient era’s most important settlements, but I mainly want to see them brought back because of how ludicrously overpowered they were in Civ V. Breaking from our ‘fresh take’ theme, in this case, don’t change a thing Firaxis – give me cheaper walls with double HP and a +50% bonus to Great Scientist points, and we’ll be fine. I’ll go revise my arguments for why I shouldn’t be banned from picking them in multiplayer. 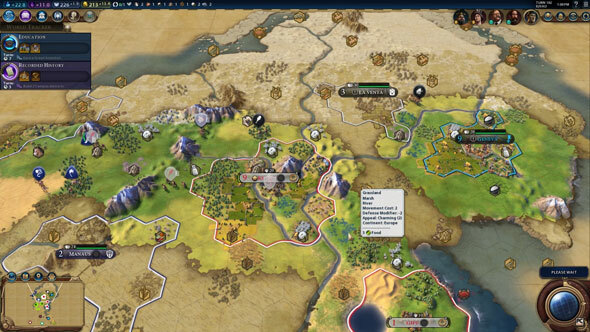 Civ has had a pretty unstable relationship with taking things interstellar or orbital. After the magnum opus (or Great Work?) that was Alpha Centauri, we’ve had the maligned Call to Power spin-offs dabble with space colonisation, while Beyond Earth didn’t introduce enough interesting mechanics to really exploit its space setting. 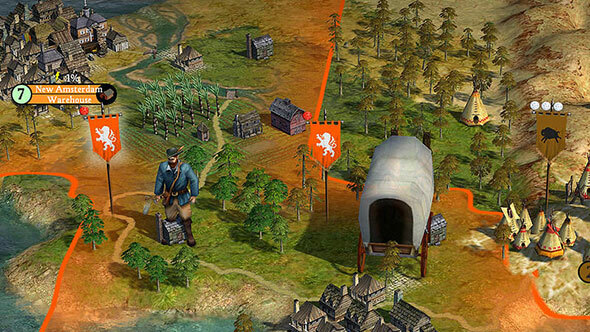 It’s time for Civ to reclaim that frontier with a worthy expansion that takes us out to orbit. Say what you will about Call to Power II, but its use of an extra ‘space’ layer of map over the old one was interesting, allowing you to attack earth-based units from orbit, set up space colonies and mine asteroids. This era could also bring back wackier future technologies and new hazards to contend with like global warming. Naturally all this cosmic malarkey should be optional, as the concept of Gandhi raining nukes from his Death Star may be a tad unpalatable for some. Immigration – bit of a buzzword these days, innit? And despite what the Daily Mail say, it’s always going to play a big part in shaping nations, seeing as it’s been occurring ever since the first stick-huts were washed away by a landslide, forcing the tribesfolk to go crash round their neighbouring village’s fire. 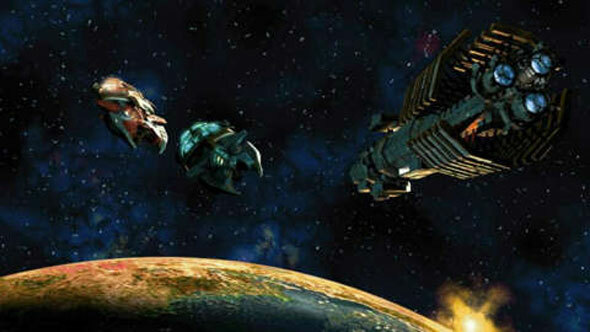 The series has dabbled in this area before. In Civ IV, border cities would have mixed-nationality populations, and if the neighbouring civ had a stronger culture then they could take over the city. But this never ran very deep. The fact of peoples from poorer civs migrating to wealthier civs – or refugees fleeing wars – should be ever-present with all the accompanying issues it brings – economics, happiness, culture-clashing, integration policies, and so on. The notion of ‘people moving around’ has defined the world as much as war and Wonders, so it’s time Sid or Ed or whoever’s actually in charge to accommodate it. The Civ series is well aware of this concept, having released two standalone Colonization games but never elaborated on any of their mechanics in the main series. It’s a controversial topic, but again it shouldn’t be ignored in a game that purports to broadly capture the ups and downs of human history. Settling uncharted shores should present you with new challenges and mechanics, making it more of an event rather than just another piece of land to turn your colour. You should work to come to agreements with other colonising nations about splitting the land, have colonial wars with them that don’t affect the home front, as well as have the option to work with the indigenous people of the land (or just destroy them). Perhaps this could be integrated with Barbarians. Those savages have been nothing but a thorn in the side of fledgling empires in all Civ games to this point. That’s fine, but let’s vary them up a bit. We could still have brutes who want nothing but to pillage our lands, but also introduce ‘indigenous people’ who you can trade with, integrate into your society and recruit special units from. The Civilization series could just as easily be known as ‘Imperialism’ based on how the late-game pans out. Sure, in Civ V they tried making small, tall empires viable, but this was rarely as effective as making the blob of your empire spread like a virus across as much of the globe as possible. 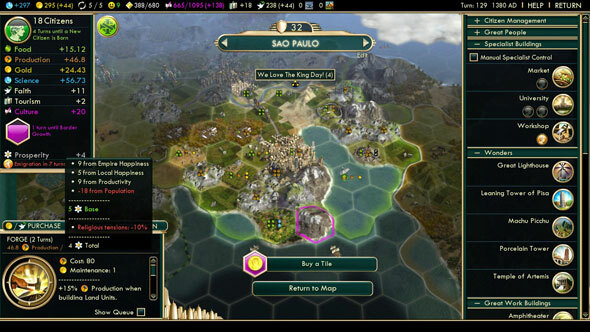 Civ’s empire-centric leanings fail to reflect the world post-WW2. As the game goes on and people in far corners of your empire start getting big ideas about autonomy, it should get tougher to hold onto foreign lands. Wars of independence and civil wars – like in Civ II – could make a return here, with the possibility of spawning new nations, particularly late on, preventing games from going stagnant. Such a system could be used to the advantage of the nation getting broken up, too. You could grant your distant and culturally detached cities independence peacefully, for example, turning them into a city-state that’s permanently your ally unless someone pulls off a coup. Unions – whether voluntary or forced – have shaped human history. From imperial unions such as the Austro-Hungarian Empire, ideological, autocratic unions like the USSR, federal ones like the United States, or… whatever the EU is, they’ve all changed the world dramatically. In an inverse way to my previous point, this would make the mid-late game more volatile, as suddenly nations could hyper-expand through joining together, potentially forcing you to have a completely different relationship with them. If you entered a union, there would of course be trade-offs, as you’d need to run key decisions by your fellow union leaders and would effectively be splitting power, but such a setup could be a great way for smaller nations to get some economic and tech boosts as they cosy up to bigger nations, or for medium nations to unite into a formidable superpower. 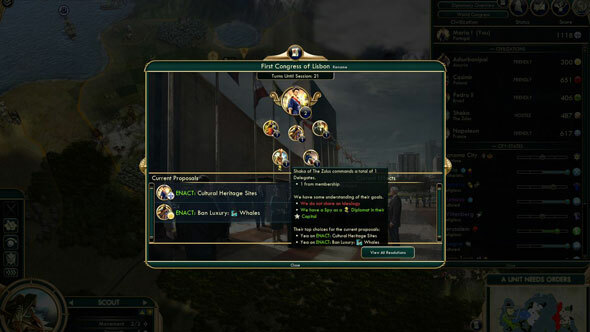 Most of the features that we saw in the ‘complete’ version of Civ V made it over into Civ VI, with the one notable exception being the World Congress. While a nice idea, it never worked previously due to the awful AI, and I don’t think I could deal with another game in which some halfwit rival Civ decides to impose a global ban on sugar just ‘because’. Despite that, the idea of a system where all nations (who choose to opt in) can have a say in global matters in the later game is a good one. As in Civ V, it should let you make sweeping suggestions like a global ideology or global religion, but sanctions should only be imposed with good reason. Something like the World Congress or UN could be expanded to various crises as well, like nuclear attacks and wars. So perhaps an emergency session could be called to embargo a bullish nation preying on its neighbours, or have everyone chip in to send economic aid or even ‘peacekeeping’ (yeah, right) troops into warzones. 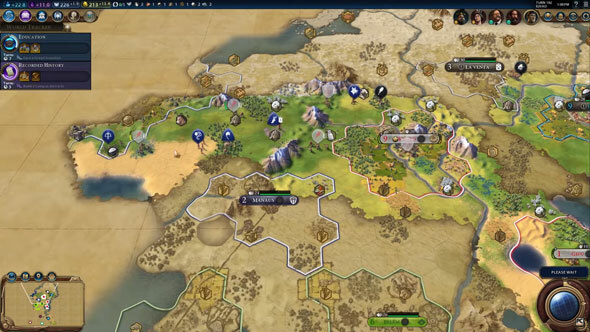 Firaxis doesn’t go on about this, but many of the ideas in Civ VI can be traced back to the Civ V Community Balance Patch, which overhauls much of the main game (I highly recommend you squeeze in a couple of games on it before Civ VI!). One of the more intriguing additions is the idea of monopolies, so if your nation has the lion’s share of a certain resource within its borders, that resource offers bigger benefits, increasing its value. Essentially, that old economic chestnut of supply and demand actually becomes a thing, as other nations are willing to offer more for your resources that can’t be obtained elsewhere. Something like this should appear in Civ VI down the line in a future expansion, so that the value of luxury resources fluctuates with their availability. Also, let’s chuck loans in there. Big nasty loans in which you can set the interest rates on and exploit/assist developing nations that need a bit of a leg up in the world, like the benevolent leader you’ll no doubt be.